Student Climate Strike saw children across the globe march out of Classrooms to fight Global Warming. Inspired by Greta Thunberg, a 16 year old political activist demanding urgent action from lawmakers to tackle the causes of global climate change. 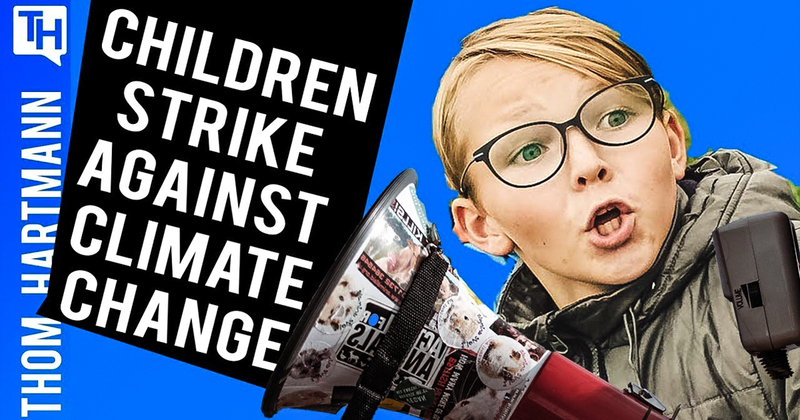 Julia Olson from Our Children’s Trust joins the Thom Hartmann Program to discuss how children are leading the fight against climate change by skipping class and taking to the streets. Can the children successfully take on the industries that are polluting our planet and convince lawmakers that climate change is an existential threat to the planet?